One of my all time favorite Indian car brand is Tata Nano. The Indian automobile sector is one sector which demonstrates different facets of branding. Tata Nano started out in rough waters (relocating the complete manufacturing plant from West Bengal to Gujrat) and has been struggling for many years now. Nano was launched in the year 2009 by Sir Ratan Tata at Delhi. Earlier Nano was positioned as common man’s car but people perceived it as poor man’s car. A perfect example of inadvertently positioning. 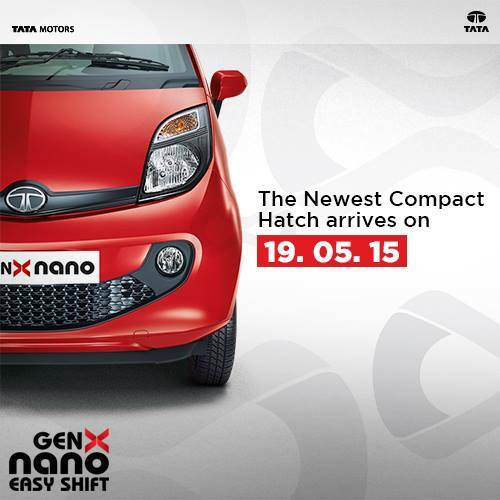 With GenX Nano to be launched on 19th May, 2015 the brand is now repositioned as small city car. GenX Nano will come in a price range of INR 2.25 lacs to INR 2.99 lacs thereby competing with other brands like Hyundai Eon and Maruti Alto 800. The USP (unique selling proposition) for Nana GenX is its 21 variants with power packed features. The marketing team has left no stone unturned this time. As per market reports Tata’s have already invested $1 billion since its inception and yet to make it a profitable. The brand is already making buzz on social media before its launch date. Currently the brand’s Facebook page Tata Nano has 3,581,780 fans and is high on engagement. Social Media Marketing is helping the brand to get leads to book test drive of GenX Nano. Similar is the case on Twitter, @tatanano_tweets is actively engaging with its followers. The current number of followers stand at 260,4000. Lets wait and watch if GenX Nano is able to reposition itself in the Indian automobile sector.